The Gypsy Fortune Teller. 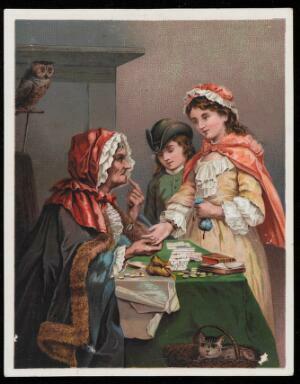 Colour card depicting young girl having her palm read by a fortune teller. A cat and an owl look on.